While experts who analyze divorce rates say this statistic is actually very misleading, if not completely false, there is no denying the fact that about 877,000 married couples in the U.S. seek out a divorce attorney for a divorce or an annulment each year. While each divorce case has its own unique circumstances to be sorted out in court, there is surprising consistency among the main reasons why people get divorced each year. 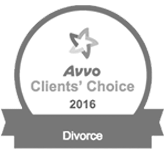 In this article, we will take a closer look at the most common causes of divorce as noted by experts, psychologists, divorce coaches and divorce attorneys. When couples can’t communicate their needs and discuss their issues, they find themselves walking down the long and unhappy road to divorce. A certain amount of openness and problem solving is required in every marriage, but couples with communication problems either refuse to communicate or don’t have the skills to do so. Active listening, the ability to express feelings, and the willingness to ‘fight fair’ are all important communication skills that, when broken down, often lead people to their local divorce attorney’s office. While marriage is an event that can blur the lines between identity, it is important for each party to maintain their individual identity as well as form a collective identity. Lack of individual identity can lead to a codependent relationship where you lose touch with who you are and become dependent upon the other to an unhealthy extent. On the other hand, if you fail to form a collective identity, including spending time together and pursuing shared interests, you will likewise drift apart. The key to a happy marriage is supporting both forms of identities in your life. Divorce attorneys have noticed that a reliance on one or the other identity typically leads to divorce. Each person’s sexual, romantic and intimate needs will change over time, but it is important each partner is in tune with the other person’s needs and will try their best to fulfill those needs. Divorce attorneys often hear men complain that their wives aren’t as sexual as they once were, and wives complain their husbands aren’t as romantic as they once were. Really, these problems go hand in hand. They represent unmet intimacy needs that build over time. When it seems like one party has pulled back, the other party pulls back as well. The unmet needs and resulting behavior triggers a downward spiral where both parties feel unappreciated and unloved. These are the feelings that lead many individuals to speak with a divorce attorney. Marrying for money instead of love is a common path to divorce. When money is valued over the relationship, the afflicted person usually catches on and heads to consult with a divorce attorney. Financial difficulties can cause divorce too. When a couple faces financial problems, they put themselves and their relationship under stress. This can translate into communication problems, intimacy problems, and identity problems, each of which can lead to divorce. Financial incompatibility can also lead to divorce. This includes decisions about how to handle the finances, how much to save, how much to spend, what to purchase, and so on. No one ever said marriage was easy. In fact, the happiest, longest-lasting couples admit that a good marriage takes a lot of hard work. When people get married, they often think the marriage itself will make them happy. When problems occur as they always do, however, many couples are too lazy or disillusioned to try to actively solve the problems. Instead of working together and developing relationship skills, each person ends up blaming the other. What each party really should be asking is “What can I do to make things better?” Without asking this question – and fighting to make the marriage work – divorce is always the easy way out. However, in the end, there are typically multiple reasons why a marriage ends in divorce. It’s important to understand the interconnection among the problems on this list. One problem can lead to another if the couple does not face the issues in their relationship. Communication, understanding, trust and problem solving are all important relationship skills to build if you want to avoid seeing a divorce attorney in the near future. 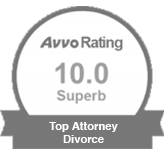 Need a Great Divorce Attorney in Texas? Ben Carrasco is an experienced, dedicated family lawyer who will fight to win your legal case. 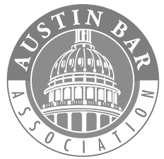 Call Ben today at (512) 320-9126 or request a consultation online!